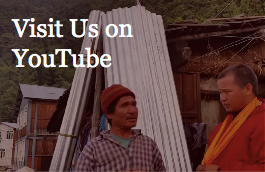 Chokgyur Lingpa Foundation is recognized as a 501(c)(3) tax-exempt nonprofit religious organization in the United States and as also entitled to tax exemption under Section 88 of the Internal Revenue Ordinance (Cap. 112) in Hong Kong. The tax deductibility of donations from other countries is subject to the laws and regulations of each country. Please check with your accountant, tax lawyer, or tax office to ascertain whether your donation can be deductible. The Foundation provides documentation of your contributions. You can donate online here, by filling in the form which will take you to our secure Paypal connection. 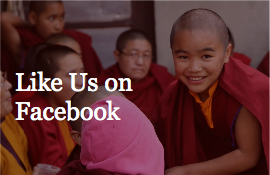 Mail to : Chokgyur Lingpa Foundation, c/o Doris Motta, 412 Glimmerglen Road, Cooperstown NY 13326 USA. Our Foundation is 501(c)(3) approved, and all donations are eligible for tax deduction. If you wish to receive an official receipt, please ensure that you provide your contact information here. Our Foundation has certified Charitable status under Section 88 of the Internal Revenue Ordinance (Cap. 112) in Hong Kong. If you wish to receive an official receipt, please ensure that you provide your contact information here.